AL’s are less expensive than skilled nursing facilities. AL’s are a “non-medical” model of elder care. AL’s are regulated by the Dept. of Social Services and Community Care Licensing (DSS/CCL). Required licensing visits are once every five years. AL’s have no current rating system (Like Nursing Home Compare, the Centers for Medicare & Medicaid Services (CMS) five star rating system for nursing homes) to help consumers make informed decisions when choosing an assisted living facility for their loved one. AL’s lack the strict regulation and record keeping the Departments of Public Health and Health Care Services require of skilled nursing facilities. 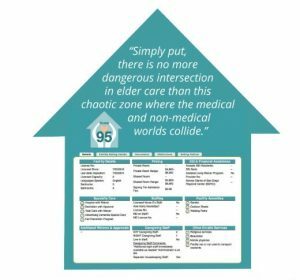 Because Assisted Living facilities are “non-medical” models of care not requiring nurses or any medically trained personnel onsite daily, this disconnect can create real problems for those residents with multiple complex and chronic medical issues. When the average Assisted Living resident is an 87-year-old woman with multiple chronic illnesses, the terms “non-medical” and “elder care” rarely belong together. The reality of this lower level of care may hit them with a midnight call that Mom got confused and wandered off the premises and is now lost. Or the report might be that Mom has fallen and broken a hip, or that she’s been sent in an ambulance to the emergency room because of (you later discover) a problem in administering her medications. Nonetheless, assisted living is increasingly attractive to frail elders and their families who just want to maintain independence and quality of life for as long as they can. In accommodating this consumer demand, the system struggles to reconcile its paradoxical mandate to combine their non-medical model with the medically fragile elders they serve. About a year ago, I met two extraordinary women working to improve consumer access to information about Assisted Living and board and care facilities. Gerontologists and researchers Chris Murphy, MS and Christina Selder, MS from Consumer Advocates for RCFE Reform (CARR) began a partnership in 2015 with the County of San Diego. The goal: to design a robust and responsive methodology aimed at placing better information in the hands of the consumer. The “Choose Well” program is the result of their collaboration. It is the first rating system of Assisted Living and Board and Care facilities of its kind in California, and the first by a county in the U.S. The Choose Well program is a guide to selecting a residential care facility on a website where the information can be easily accessed. A Website containing a directory of all RCFEs in San Diego County. A Rating or Scoring device based on facility public records data. 11 Quality Measures against which all facilities are scored. A Facility Search so families can locate facilities or a Choose Well volunteer in their zip code, city, etc. A program free to providers and consumers, and participation in the program by providers is strictly voluntary. 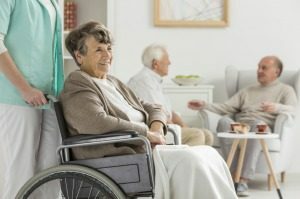 The Choose Well website (www.choosewellsandiego.org) includes resources and links for the consumers to learn about the Assisted Living care model, about resident rights, and a FAQ section to answer questions consumers might have about the program. Choose Well volunteers receive a Facility Profile Page which allows them to distinguish themselves through a description of their care philosophy. They may describe their services and amenities, display their Choose Well score and how they have performed on the 11 Quality Measures, and identify their community affiliations. Choose Well is just getting off the ground, with new RCFEs being added to the website weekly. Over time, this innovative County program aims to become the go-to site for consumers, allied professionals, and any organization making placement referrals. While Choose Well may not solve the medical/nonmedical paradox, it is a very good start to accommodate growing demand by consumers for transparency and accountability. There is hope that Choose Well will facilitate an evolving dialogue by educating consumers about these issues so critical to all.